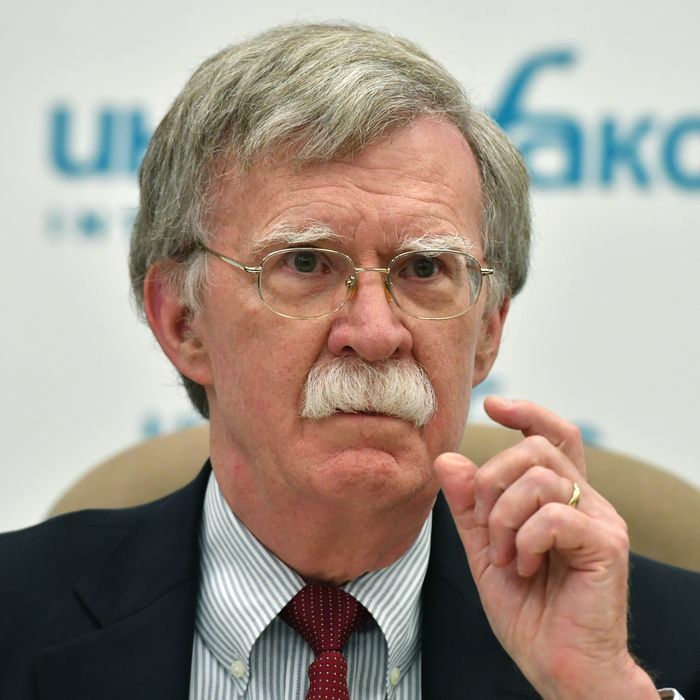 Since John Bolton took over the National Security Council in April, he has fired or forced the resignation of several top staffers, in what many outlets have labeled a “purge.” Among those removed by the mustachioed ultrahawk are NSC members who had worked under previous presidential administrations — and were thus deemed insufficiently adoring of President Trump — as well as those he suspected of leaking, or being too close to previous NSC head H.R. McMaster. But on Thursday, Bolston jettisoned someone who didn’t fit any of those profiles: Jennifer Arangio, NSC’s senior director for international organizations and alliances. By all accounts, Arangio was an enthusiastic Trump partisan; she joined his team early, working on Trump’s campaign as his national director of women’s engagement. The former White House official said Arangio’s just-the-facts approach put her at odds with Miller, a top Trump aide who favors restricting immigration, and others involved with the Domestic Policy Council, especially on the issue of refugees. “She has fought to correct misleading information about refugees and migrants provided to the president by Miller and the DPC,” the former White House official said. Last year, Miller led the charge to reject a Department of Health and Human Service study that found that refugees benefit the American economy far more than they cost. The results undercut Miller’s view that immigration is a drain on society, a rationale he has used to help slash the number of refugees allowed into the country to its lowest level in decades, discourage migrants from crossing the border by helping institute a cruel family separating policy, and advocate making legal immigration harder, among other initiatives. There is scant evidence that legal or illegal immigration, at the level seen in the United States in recent years, hurts the economy as a whole; a wide body of research suggests just the opposite. Foreign Policy reports that Arangio and Miller also clashed over U.S. participation in a global migration compact, with Miller’s view that the U.S. should pull out of the agreement ultimately prevailing — though he “remained embittered by the rift.” Arangio also worked against Miller to prevent the Trump administration from scuttling the State Department’s refugee bureau, a battle that she won with the help of Congress. It’s impossible to say whether Arangio’s relatively moderate posture on immigration accounted entirely for her undoing; her interpersonal style was also cited as a factor in her departure. “Jennifer had a hard edge that was not diplomatic,” an official told CNN. But Bolton himself is not exactly known for his welcoming views of foreigners, or non-white Americans. And such a move would be consistent with a White House that not only views immigrants as an existential threat, but actively suppresses information that contradicts that xenophobic perspective, even if it’s delivered by an otherwise loyal member of its own team.